Popular Zimdancehall sensation opens up about his marriage in an interview. 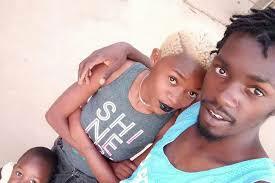 The Kanjiva hit maker, Enzo Ishall has opened up about reports that have continually circulated regarding his marriage. Speaking in an interview with Chamvary on Power FM Zimbabwe, Enzo Ishall opened up about his home life, putting to bed any divorce rumors that are have been circulating. Explaining he is not divorced but he is on separation.